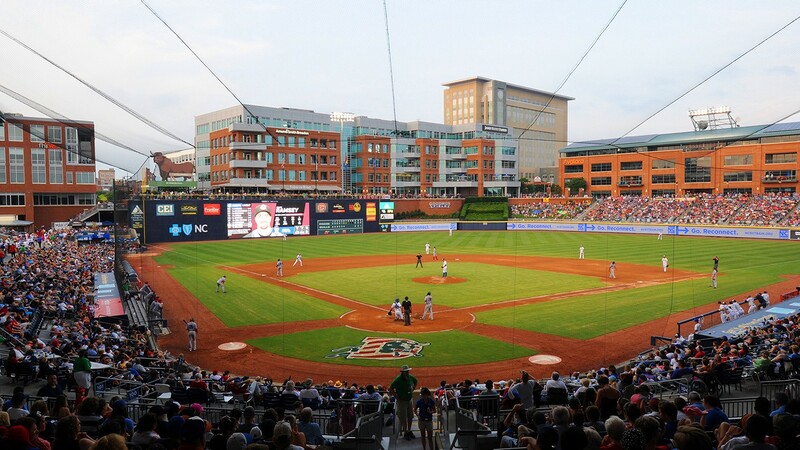 Reserve your ticket to see the Durham Bulls play Lehigh Valley during the #ELGL19 conference. We’ll get group seating for a night of baseball with friends. The Durham Bulls are a professional minor league baseball team that currently plays in the International League. The Bulls play their home games at Durham Bulls Athletic Park located in the downtown area of Durham, North Carolina. Durham Bulls Athletic Park is often called the “DBAP” or “D-Bap”. The Bulls are the Triple-A affiliate of the Tampa Bay Rays. Established in 1902 as the Durham Tobacconists and disbanded many times over the years, the Bulls became internationally famous following the release of the 1988 movie Bull Durham starring Kevin Costner, Tim Robbins, and Susan Sarandon.